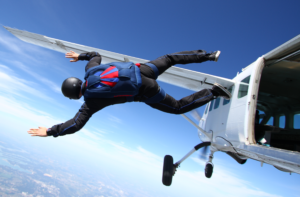 Dropzone Solutions – Mentoring SKYDIVERS since 1994!
! !Spring Special $100 off thru 6/21/19!! Parachute Systems is now offering an amazing “Jump Ready Bundle Package” for their line of container, mains, and reserve. 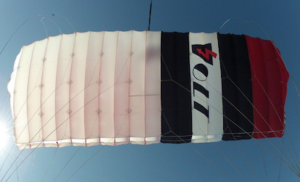 Dropzone Solutions is a US and Online based dealer for Parachute Systems. If you purchase a brand new custom Vortex Container (Freefly Friendly with RSL and all the nice padding), Main Canopy (Volt, Hurricane, Ventus, ZP.exe in the 135-235 size range), and Decelerator Reserve (Size Range: 135-220) together as a package, you only pay $4860 ($100 off spring special currently available). Skyhook option available on the Vortex for an additional cost. Delivery is around 12 weeks. 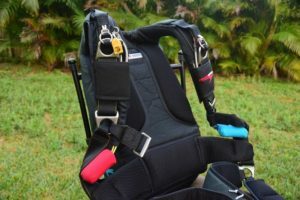 We can help add a new or used AAD to the package, so you will then have your own complete new custom colored/sized rig to SKYDIVE in! – Does the price include all the standard container options I want (ie. Stainless Steel, RSL, Hip Rings, Padding, Pinstripes, Freefly Hackey, Magnetic Riser Covers)? YES. We can help you customize a new Vortex with all the nice padding options, RSL and Magnetic Riser Covers. You can customize your new Vortex Container and Volt or Hurricane online, then just wait for delivery and you will be ready to jump your sweet new Parachute Systems complete rig! Great for someone looking to upgrade their older gear or purchase their first rig off student status. If you have questions on on this great package deal, please feel free to contact us and we can get your order started! To receive this discount pricing, the complete rig package must be purchased together. Payment in full to get the order started. Special Military and First Responder discounts also available. Please CONTACT US with any questions and FINANCING is available. -Looking to downsize, we can help!